Experiment: Torso articulation – No Nap Time! Articulation in dolls was usually lacking or disappointing compared to “action figures” and it wasn’t until I found Obitsu dolls that I finally got the range of motion and posing ability that action figures had in dolls. Considering the range of articulation available in Obitsu dolls, Monster High dolls are a cheaper alternative and are photogenic! Can you guess what might be different with this Lala? Luckily, Monster High torsos are hollow inside. There are some peg configurations right around the hip and chest area but the center mass is empty. I filled out either side with Apoxie sculpt to hold metal rings which are held together by garter similar to the way some OOAK Ball Jointed Dolls (BJD) are designed. There won’t be a tutorial for this nor would it be something I’d like to try again. It’s a very tricky and somewhat dangerous process. The mod is more appropriate for Ghoulia since the chest has a tendency to slouch due to the weight of the head. If you really want a jointed torso, you should pick one up from Plastic-Curves. The torso is only usable for Create a Monster sets but it’s also much more attractive than converting MH bodies from scratch. Hi!! I’m really interested in the process, if you don’t mind, I’d like to have advice since I want to modify a Widowna spider doll so I can attach the multi-limbed torso to a custom spider bottom body. Thank you! That just…I can’t..I mean…MY MIND IS BLOWN. I’d love to know how it was done but I get the “pretty much never again” thing. Just…let me sit in awe of you, at least. This is amazing! If you wouldn’t mind I would also love to see drawings/sketches of how this was done. It is definitely something I’m interested in! ^-^ It could also help with some of the body mods. See illustration above. It’s accurate. I did mention that it’s very tricky and kind of dangerous so proceed with caution. I would recommend using a proper saw tool if you’re ever going to try this. As for the actual inside of the torso, this isn’t a torso but the cross section of an MH thigh. It’s similar to what you’re going to see inside the torso. Same person did a similar torso mod for Draculaura to make her shorter. Is there any chance you could draw up some diagrams on how you did it? 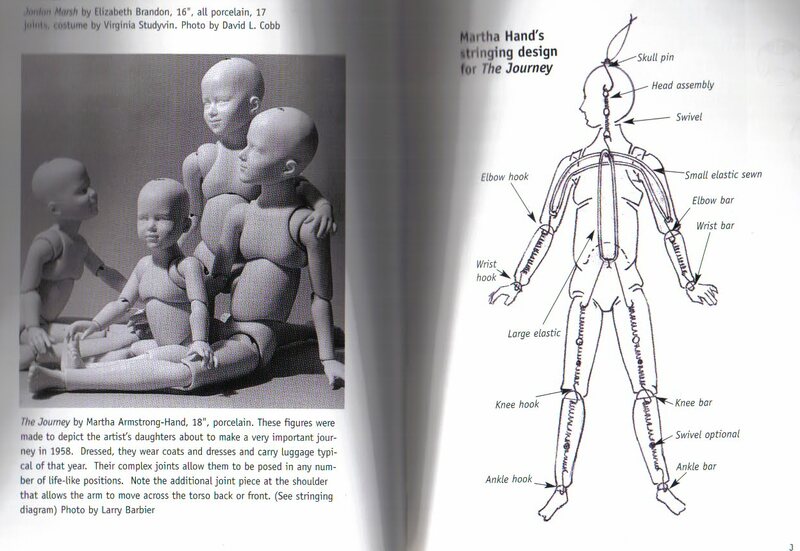 I’m a very visual person and it would be handy for a future ref if I wanted to try adding a new joint to any figure. Also to stop the slouching, any chance you could hot glue suede the joint to give it a bit more grip? Maybe! I want to open her up again since the BJD type construction is awkward in some cases. I want to put an actual joint in there but the space left over is so small it’s so hard to add anything substantial. Hmmm, maybe you could put in a jointing system from a Lego piece (that hero factory bionicle thing seems ripe with different joints) or an action figure since I agree that some aspects of ball jointed elastic joints can be tricky.